What is it like to be in a Rock band? "Being in a rock band is the best "job" in the world. It's so good that at least half the people who do it, do it for free. Or pay to do it." How did you come up with the name The Hard Ponys? "We came up with the name by arguing until we wanted to kill each other. It's supposed to mean someone that wants to be tough but isn't." What was the game plan when you went to record your depute album? "When we went in to record, we just wanted to capture the feelings that went into the songs. Assuming we remember what they meant." What is Psychdoll about? ""Psychodoll" is about the joys of dating the clinically insane. No, just about being in a crazed relationship and how it gets addictive"
How did you get into Thrash Metal? "I first got into thrash metal back in the late 80's when I started listening to Metallica - Master of Puppets. From there, I wanted to hear more aggressive and faster music that still had melody and was unique. Back then everything was so fresh and raw. Whether it was Testament, Vio-lence, Nuclear Assault or Kreator it was all unique and thrashing with authority." Is it hard being a Thrash Metal band in this decade? "Being in a thrash band today is certainly far more difficult than it was when ideas were very unique and there were people buying records as opposed to so much downloading done today. People came to shows much more back then too, it seems. Having said that, it doesn't deter us from writing the best music we can and thrashing as much as possible." What band/bands would you love to tour with? "A dream tour for us would be Death Angel, Kreator, Lamb of God and Testament. Some newer bands like Havok and Diamond Plate would be awesome as well." 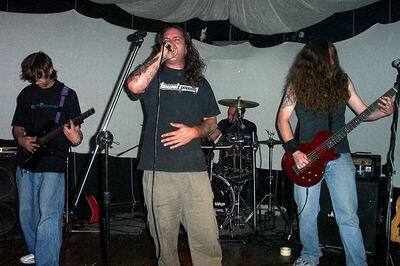 What was it like working with James Murphy (Testament, Death, Obituary, Cancer, Disincarnate)? "Working with James Murphy was awesome. He has been my idol for years now so it was truly a dream come true. He gave us a lot of guidance and was such a great guy, we'd love to have him on every record if we could work it out." I would like to thank Ray and Outliar. I hope your Thrash Metal days never end! And don't forget to pick up a copy of there album "Provoked to Anger" Just click on the link below. What is your favorite song to play that you have written and why? "My Favorite song at the moment is live a lie...it has a real slow heavy groove, and i get to put some real rage style vocals on it...It's about someone who started pretending to be something he's not..to the point where he completely lost who he really is." What is your inspiration to write songs? "Inspiration to write songs usually comes from mistakes I've made... Try to learn from them and turn them into something positive... I've made/make a lot of mistakes...haha so yeah should be plenty more songs to come." Where was your first show? 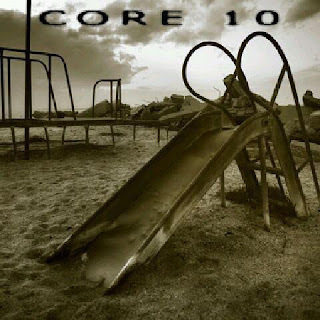 If you can remember. "The first show that this incarnation of Core 10 played was last July 30th at Hollywood house of blues...we had just taken a 4 year break... And it was kind of a comeback show...we were bringing Sean Lenhoff into the band and hadn't practiced much...hahha But we still had a big crowd and it sounded all right... It was a lot of fun I think I forgot how much I missed it." How do you get ready for a show? "I usually get ready for shows early...meaning hours before we go on I'll hit the gym and go on a run... That seems to help me focus... Then by the time we're on stage I feel like I've been ready to go for hours...kinda chomping at the bit to get out there!" Do you have any music available to download? "Yeah We have a 3 song EP that you can find on iTunes...it was produced by Ronnie King (Offspring, Rancid, Pepper), and mastered by Eric Valentine(Queens of the Stone Age, Slash, Good Charlotte) at thunder underground studios in palm desert. We had a really great production team and it came out great." Reason for the Rating: These guys are not trying to reinvent the wheel, they are just keeping it going with a strong album. This album is for real Thrash Metal fans, it you're a fan of Glam Metal or something like that, don't not listen to it. The speed of this album will kill you!! The production value is really good. And for being the 13 album these guys still have the drive to make good Thrash Metal. So if you like Thrash Metal then you need to give this album a listen to. Reason for the Rating: Power Metal is for a small group of Metalheads, but this album could be loved by everyone who likes Heavy Metal. The Production is great. And the guitarist in this band are just some of the best guitarist out there, some of these solos with just make your jaw drop. This album may not be what that get famous for in there early days, but true Sonata Arctica fans will love this album. And to the Metal fan who wants to get into Power Metal they should start with this album. Reason for the Rating: The band has stated that this is going to be ther last album, what a way to go out. The production value is great, better than a lot of other Doom Metal bands out there. The riffs the play will remindthe listener of Black Sabbath. Every Metal fan needs to have this album. The lead singer has to have the best vocals in Doom Metal. Maybe one of the Top lead singers in Metal. And don't forget to listen to the solo in Prophet, just some great guitarist in this band. Reason for the Rating: If you like the feel of old school Metal then you will like this album. This album has a flow with, all of the songs fit together. Not on of those albums that that band just throws songs next to each other. The lyrics are Strong, instruments are on point. And it has a great production value. If you are a fan of Heavy Metal then you need to pick these album up and give it a listening to. Reason for the Rating: Every song sounds closely similar to each other. They don't really bring anything new to the table. If you are looking for the same band in that made Monument, not going to find them. If you are wanting to get into Miss May I, you may not want to start with this album. Now having said that, is it a bad album? No, it's a pretty good album. But they could do better. Reason for the Rating: Pretty much this is Wednesday 13 but with a different name for the band. If you like Wednesday 13 then this album is a must have. The production is the best for any album. Lyrical are some of the must creative the listener well hear. We will go as far as saying if you like Motley Crue then there is a chance that you will like this band. Just give this band a listen to, they are worth your time. Why did you start this band? "We started this band because we were four teenagers who loved music and wanted nothing more than to play shows to people." What has been the biggest hill you had to over come so far? "One of the biggest hills we've had to overcome was getting better and better and learning how to really write our own original music." What is the goal for the band? "Our goal is to be able to release music, tour, and be able to do this full time one day." What is your dream tour? "A dream tour would be with Breaking Benjamin (if they get back together) and Linking Park." I would like to thank Imran and Four Night Gone for doing this interview. And I wish them the best of luck on achieving there goals. What bands influenced you? Amon Amarth, Týr, Exodus, Kreator. What's your favorite song that you have written? and Why? Oden. Beause is the favorite of our fans. How did you come up with your name? For a game of words, "War" "Hammer." What's your favorite type of instrument to use? Guitar. How did you get started with your band? From my dream, my dream to be listened in all the world. Whats has been the biggest hill you have over came in your band's career so far? Recording our demos, and so many shows in all the country. I would like to thank Dante of War Hammers for doing this interview with me. I wish them nothing but good things for the rest of there careers. And don't forget to check them out on FaceBook. Reason for the Rating: Anthrax really fell off the Thrash Metal scene for a while, but with this album you have to talk about Anthrax now. With Joey Belladonna back on the vocals for this band, it really gives them there old school feel back.And since Joey was there when Anthrax was making there best albums, you could say before this album was to come out that this album was going to be good. Not only that but you can't talk about Anthrax without bringing up this album as one of there best album, not there best album but it is in there top 5. With the guitars, bass, and drums giving the listener the feel of old school Anthrax, the listener would think that these songs were made in the 80's. This album is a must have for any Metal fan. Reason for the Rating: This is the band's most Aggressive album to this date, and it looks like there is no slowing down this band. The album starts off strong as soon as you press play with Collapse in Eternal Worth. With the guitars mixture of Black and Thrash Metal riffs. This album is only for true Black Metal fans. Reason for the Rating: If you have not listen to this album, What the Hell are you waiting for???? This is one of the best Iced Earth albums. This is the first album with Stu Block on vocals and he does a great job, you don't see to many lead singers hitting the notes that he is hitting. And the drums, guitars, and bass are all on point. This album will change the way you look at Iced Earth. This album gave them a new following. Side Note: let us know what we are doing wrong. Side Note: Let us know what we can do better. Favorite Tracks: Murderer, For the Wicked, Chaos: Reborn, My Light Unseen, Death. Ascension. Resurrection. Reason for the Rating: When first listening to this album you would never guess that this band is a Christian band, but they are. But even tho they are Christian the band is still bringing you the Death Metal sound. 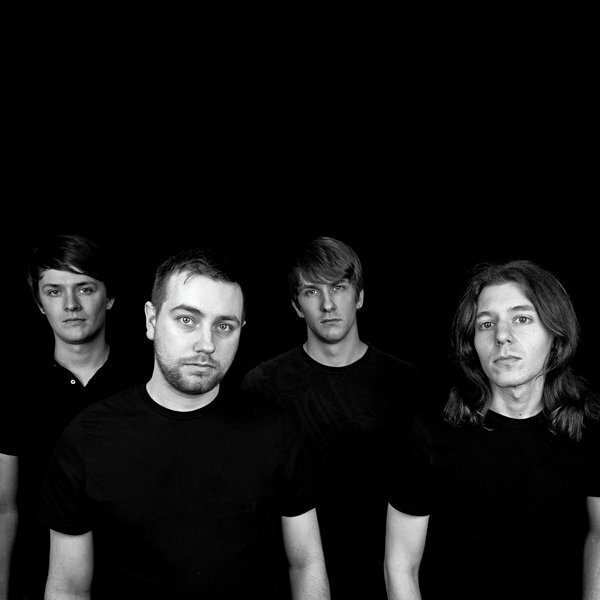 If you are a fan of Death Metal or Metalcore and you are a Christian then you should give this band a listen to. And here is a question, how can there be Christian Death Metal? Seems strange but it must work. Reason for the Rating: With the vocals from Jamey Jasta, from Hatebreed, and the guiatar playing of Kirk Windstein, from Crowbar and Down, you get a great cambonation that is like no other. From the intro of Enlightened to Extinction to the last song Salvation Denied this album keeps your heart racing. This album is all power. If you are a fan of Hatebreed then you are going to love this album. Side Note: Please let us know where we car improve on. Anything at all would be every help full. We are still new at this. Side Note: Please let us know how we can make our blog better. Any comments would help out a lot, we are still new at this. 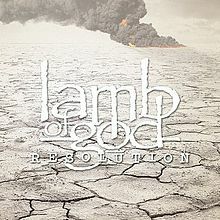 Reson for the Rating: If you think that Lamb of God could not get any better then you wrong. This is Lamb of God at their finest. On Metacritic, the album attained an overall score of 73 out of 100, based on 17 reviews from professional critics. Give this album a chance and you will love it.